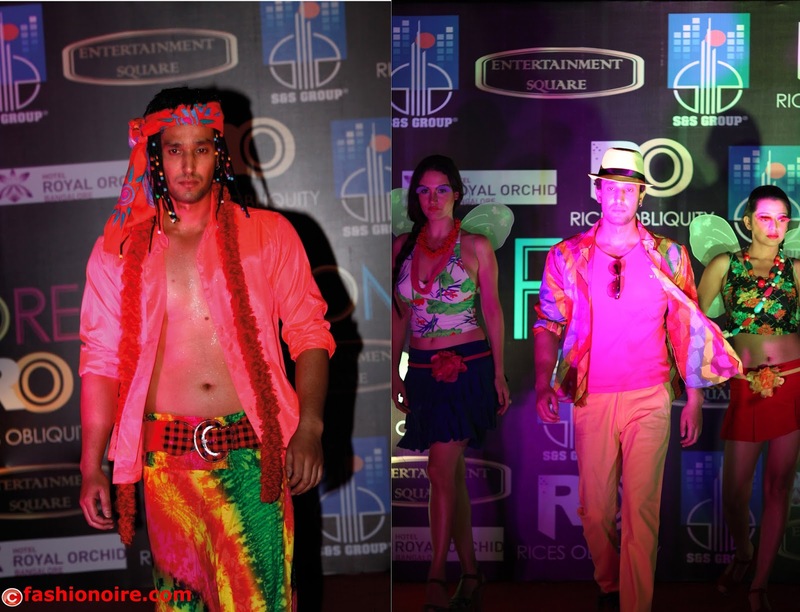 Fashion designer Rajesh shetty Show cased his Beach/Summer collection on Friday April 4th, at Royal Orchid Bangalore in an event called Bangalore Fashion Night Out organized by entertainment square. 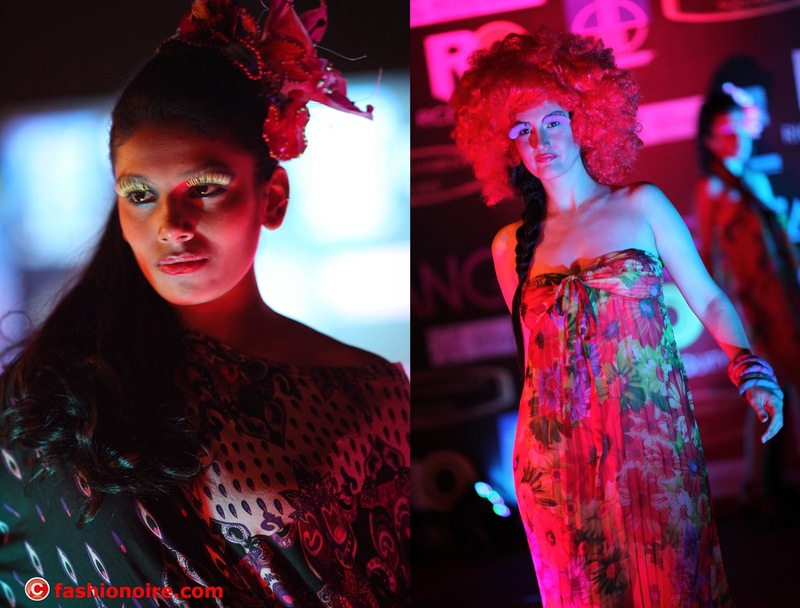 I am happy that I was invited to cover this show on my blog-fashionoire.com.I enjoyed the event to the fullest. Good number of Pg 3 Faces were spotted at the show.Dj.Nash set up the right mood for the models to rock on the ramp and also for the crowd.show was successful. 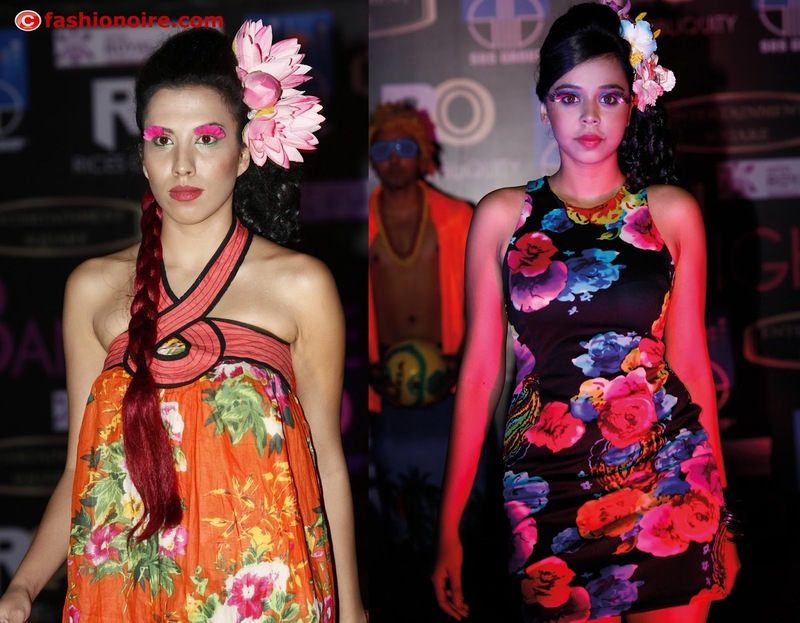 Vibrant colored floral dresses with head gears and florescent skirts accessorized with wings are the highlights of the show.Highlight of the model’s make up was multi colored Eye lashes; this added the oomph factor to the entire styling. It was a well Choreographed show. 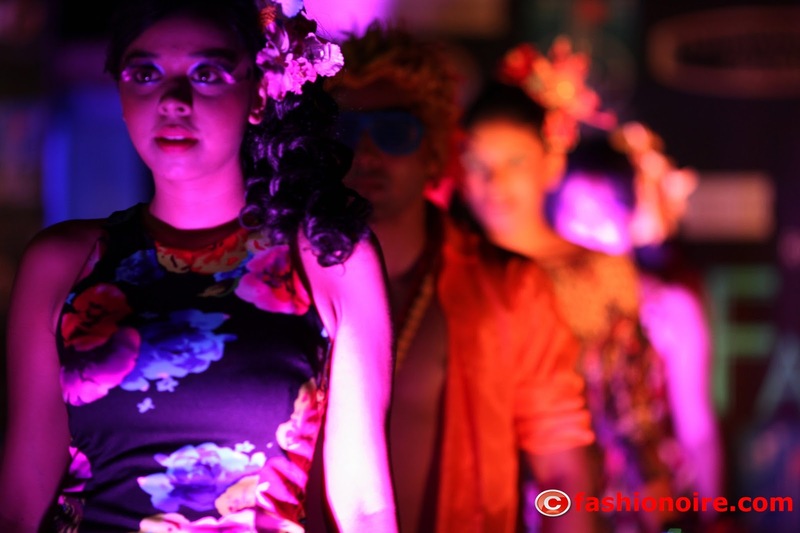 I got few back stage pictures as well show pictures with the help of my photographer friend Sana.Though the lighting on ramp was'nt good enough for the photography, he managed to get few beautiful shots. About the designs-designed well keeping the beach and summer as a theme.Dresses are designed keeping the common girls in mind.Dresses are not just meant for models on the ramp, any girl can wear them. Show was suppose to start at 10 Pm but started almost an hour late. May be I should not crib about it as this is the scene in almost every show. 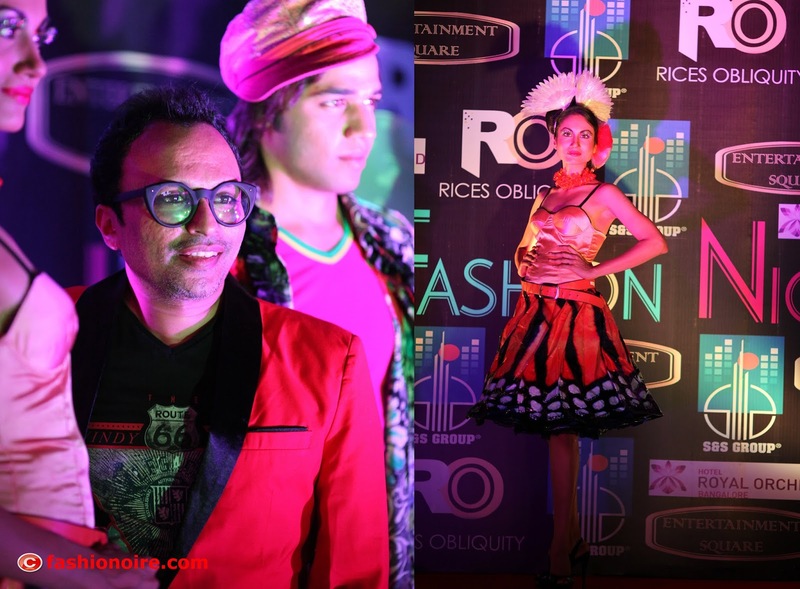 Keep an eye on my blog for the fashion bytes.